Last week I had the privilege of leading a three-day workshop on the Foundations of Writing Workshop in Bangkok for middle school teachers from NESA schools. We explored the structure mini-lessons, the role of mentor texts, the thinking behind unit planning and the art of conferring. We also looked at writer’s notebooks, where I introduced the participants to the idea of quickwrites as a strategy for generating notebook entries. For those of you unfamiliar with quickwrites, it’s a practice whereby a teacher reads aloud a short projected text then invites students to write something inspired by it for no more than three minutes. Like flash drafts, which they’re often confused with, the point is to write fast, though the purpose of quickwrites is not to get a first draft of something you’re planning to write down on paper in one fell swoop. 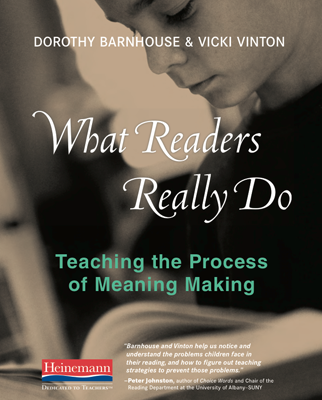 Rather, as Linda Rief explains in Read Write Teach, a quickwrite “is writing to find writing, not planning or thinking through the writing before the words hit the paper. It is writing for the surprise of not knowing you were going to write what you wrote.” And to give the teachers a feel for the power of quickwrites, I shared the poem “After English Class,” from Jean Little’s Hey World, Here I Am!, then asked them to write about whatever it brought to mind. The range of writing this poem inspired was nothing short of stunning. Some wrote about themselves as teachers and wondered if they’d inadvertently killed poetry for their students. 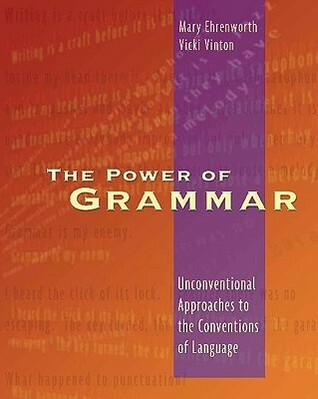 Some wrote about texts they’d decided to “drive by” because they’d grown complicated, too. Some wrote about the stillness of winter, others about the magic of snow. And I wrote about my mother, who, for reasons I couldn’t remember, once shared with me the moment she felt defeated by a poem. It was Henry Wadsworth Longfellow’s “Evangeline,” which she was required to read in high school—and it seemed so impenetrable to her that she stopped reading poetry. That made me remember my own undoing with poetry in high school, which came by way of Mr. Loudon and “The Rime of the Ancient Mariner.” First there was all the thee‘s, thy‘s, may’st‘s and haths‘s, and then there was the albatross—a symbol of Jesus, Mr. Loudon said—which was tied like a weight around the Mariner’s neck, like the poem felt tied around mine. But . 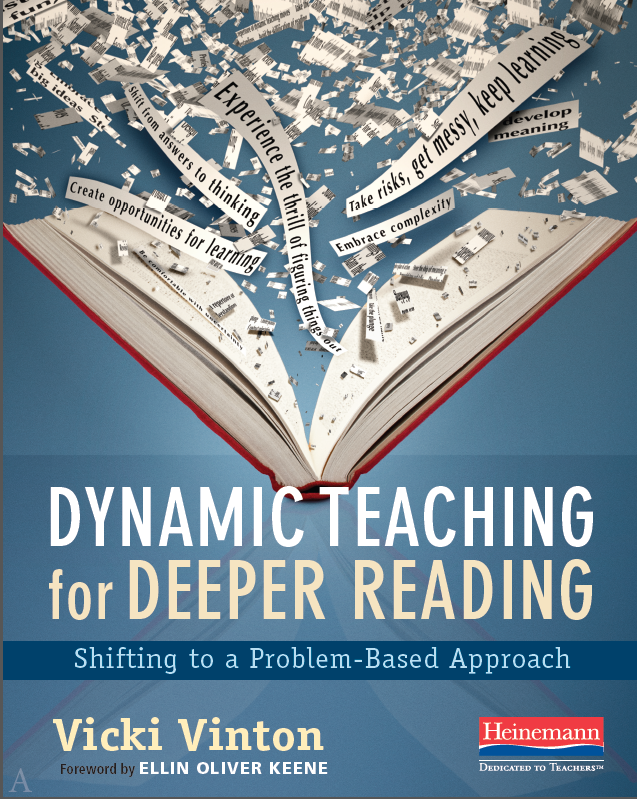 . . as is clear from the title of my new book, I also believe in helping students become deeper readers and thinkers. And that makes me think that the problem for Jean Little’s narrator, my mother, and me wasn’t that the poem we each read had hidden meaning, but that the meaning didn’t belonged to us. It belonged to the teacher. We’d also focused on using talk to deepen the students’ understanding of poems and decided to celebrate the end of the unit with a formal grand conversation that the kids would conduct themselves. And for that, we chose the poem “Inside” from Nikki Grime’s wonderful Bronx Masquerade, which also uses a central metaphor. After reading the poem out loud twice and giving each student their own copy, we invited the kids to turn and talk first to ensure that everyone was thinking. Then they formed a circle for a whole class discussion. The poem also reminded many students of Rob in Kate DiCamillo’s The Tiger Rising, which they’d read earlier in the year. Rob, they recalled, was physically bullied, and he tried to deal with that and other problems by holding all his feelings inside, locked in an imaginary suitcase. But there was disagreement about whether the poem’s narrator was also holding her feelings inside, with some thinking she does because she keeps her sweetness inside, while others thought not because she expresses her feelings directly to the bully. Amid all this, though, one student shared that she was confused about how a coconut compared to bullying—and hearing her admit that helped others acknowledge that they were also confused. This opened the door to others to explain how they made sense of that. One student, for instance, said, “Bullying isn’t like a coconut, she is. Outside she’s hard but inside she’s soft. You could push her and she won’t get hurt but on the inside she might be hurting.” Another saw it slightly differently. “Everything like the outside of the coconut,” she said, “keeps her from being bullied, but inside she’s sweet. So when she’s bullied she doesn’t care because in her heart she knows she’s sweet.” And that led another student to this ‘aha’ moment: “And when she says ‘Your loss is someone else’s gain’, she means that she could have shared her sweetness with the bully if he hadn’t been so mean. With the period almost over and everyone nodding as they let these ideas sink in, I drew the conversation to a close and noticed and named what the class had done. Right away they’d gotten that the coconut was figurative, but they had to keep talking to figure out what it truly meant. They also connected this text to another, which also helped them out, for by comparing how Rob and the poem’s narrator handled a bully, they’d realized that the authors had different things to say about how to deal with bullying. Finally, I asked them how they thought it went, and many said just what the students who’d read “Louisa’s Liberation” did, “That was hard, but fun.” Many also wanted to keep the poem, because they liked it so much. So perhaps what happens after English class depends not just on what poem you choose, but how you choose to teach it—and who truly owns the meaning.